HomeAmazon DealsQuaker Baked Squares, Soft Baked Bars, Apple Cinnamon & Strawberry, 5 Bars (Pack of 4) Only $7.27 SHIPPED! Quaker Baked Squares, Soft Baked Bars, Apple Cinnamon & Strawberry, 5 Bars (Pack of 4) Only $7.27 SHIPPED! Yummy pantry buy. 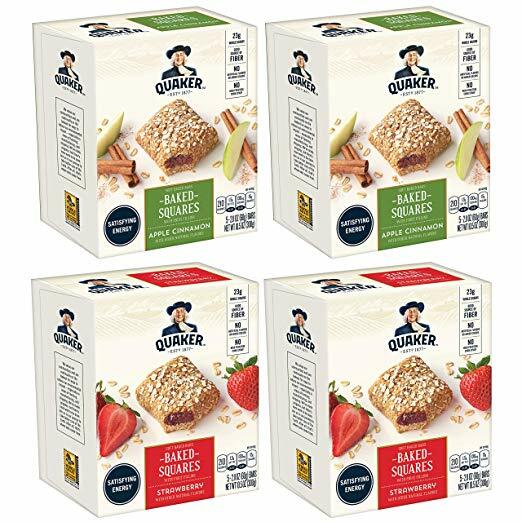 Head over and grab Quaker Baked Squares, Soft Baked Bars, Apple Cinnamon & Strawberry, 5 Bars (Pack of 4) Only $7.27 SHIPPED! Glade Jar Candle Air Freshener, Blue Odyssey, 3.4 Ounce (Pack of 3) Only $5.83 SHIPPED! Finish – Quantum – 82ct – Dishwasher Detergent – Powerball – Ultimate Clean & Shine – Dishwashing Tablets Only $10.54 SHIPPED!